Awe 🙂 Thanks Debra. Homemade lavender oil is amazing! I did two soaks so that it made it super strong and it worked! 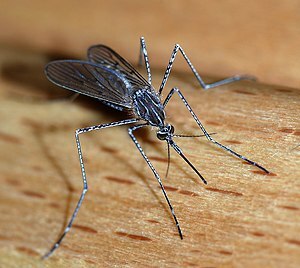 It works really great just as is to put on your skin and keep the mosquitoes off, or in a spray bottle with some water (if they aren’t too bad). I did salve to make it easier to apply. According to the ‘experts’ it only has to get to 50 degrees for mosquito larvae to hatch. We have them in Michigan already. yuk! They are rude little bugs aren’t they!? I can’t believe how much they ate me alive! You rub the fleshy “gooey” part on your bites, it works really well. If they are bothering you a lot it only seems to take the itch away for a half hour or so, but I applied again and it works really fast! I wonder what it is that makes the itch stop? Either way it works wonderfully! 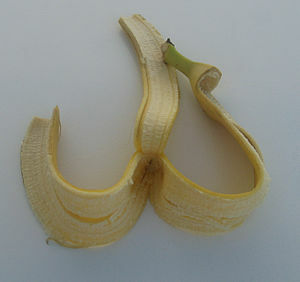 Great trick on the banana skin – will mention it to my hubby. For some reason, they always bite him and usually leave me alone ;-). I guess I’m just not tasty enough! !